Hungary is a member of the European Union but not yet part of the eurozone. It remains a long term goal of the Hungarian government to adopt the euro, but this will likely not happen until the 2020’s. So if you plan on travelling to the country for the time being, you’ll need to buy Hungarian forint. Get your Hungarian forint with FXtoGO! The name forint is derived from the Italian city of Florence where gold coins named fiorini d’oro were minted in the 1200s. By the mid 19th century the Austro-Hungarian Empire used the forint, which was known in German as the gulden or florin. This forint was eventually replaced by the pengo, which was itself replaced due to hyperinflation by the reintroduced forint in 1946. Although officially the forint is divided into 100 fillér, this unit of currency has been out of circulation since 1999. When coins were introduced in 1946 they came in denominations of 2, 10, and 20 fillers and 1, 2, and 5 forints. In 1948, 5 and 50 fillers coins were introduced and in 1967 a 5 forint coin was re-minted after having been withdrawn from circulation. A 10 forint coin followed in 1971 and a 20 forint coin in 1982. In 1992, after the fall of communism new coins were released in denominations of 1, 2, 5, 10, 20, 50, 100 and 200 forint. By the end of the decade all filler coins were discontinued. Today all purchases are rounded to the nearest 5 forints as the 1 and 2 forint coins have also been discontinued. All coins feature the value and year of minting on the reverse with different images on the obverse. On the 5 is a great egret, on the 10 is the coat of arms, on the 20 is a stool iris, on the 50 is a saker falcon, on the 100 is the coat of arms, and on the 200 is the Szechenyi Chain bridge. 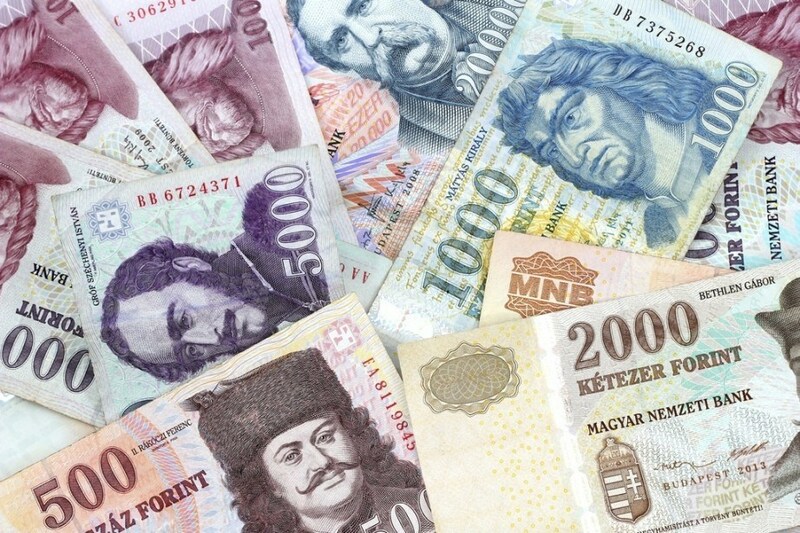 New banknotes were issued in the late 90’s in denominations of 200, 500, 1000, 2000, 5000 10 000 and 20 000 forints. 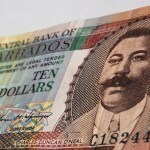 Each note features a famous politician or leader. Following its introduction in 1946 the forint remained stable until the 1970’s when the country’s economy began to decline significantly. 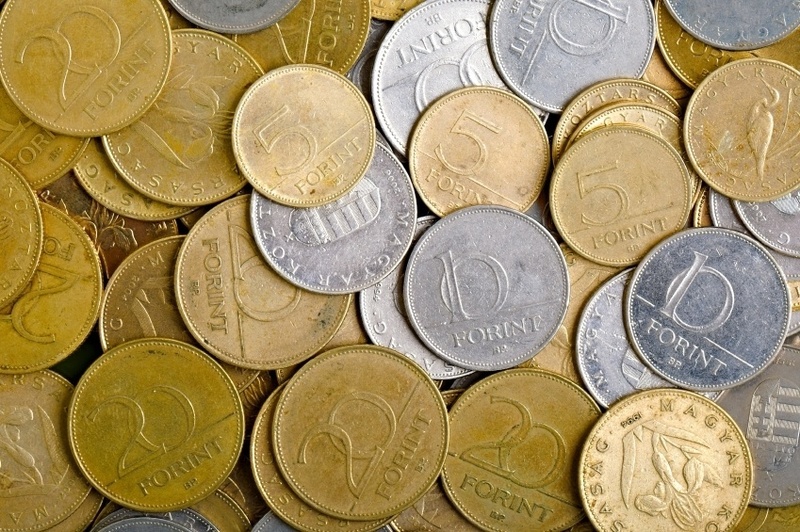 Following the end of communism the forint began to suffer from 35% inflation for three years. Economic reforms eventually returned stability to the forint and since 2000 the currency has remained relatively competitive against the US dollar. Economic reforms following the end of communism were successful and now 80% of the country’s GDP is produced by the private sector. The country is also part of the EU’s single market. The country’s main industries are mining, metallurgy, construction materials, chemicals, textiles, pharmaceuticals, motor vehicles and processed foods. The service industry accounts for 65.5% of GDP, agriculture for 3.4% and finally industry for 31.1.%. Hungary successfully transitioned from communism to capitalism and has begun integrating with the EU. 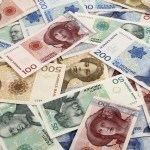 Although not yet on the euro, the country expects to join the single currency in the 2020’s. 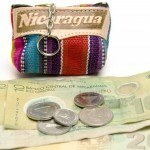 We carry any of over 160 different currencies, ready to be bought or sold immediately! Need to buy Hungarian forint now? Do it right away with FXtoGO! For a broader understanding of Hungarian history and culture check out our Country of the Week profile. For information about traveling to Hungary then be sure to follow our Travel Guide.